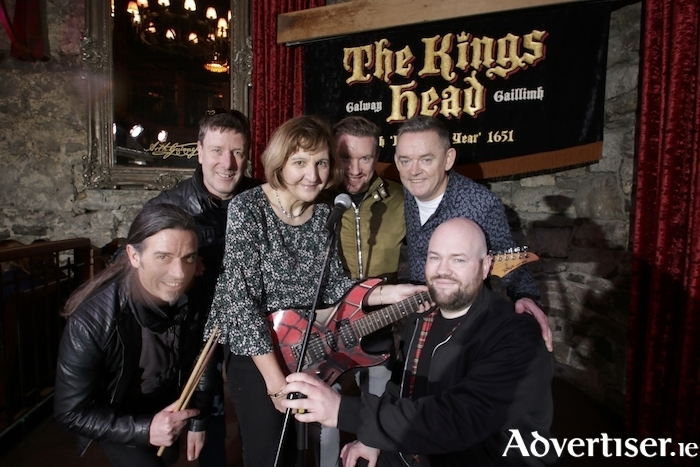 Some of Galway's favourite bands, including Pyramid, Tightrope, KIF, FYC, and The Converse Allstars, will play The King's Head on Friday February 8, in aid of Galway Hospice. “It is a rare occasion that as musicians we get to come together with our peers in the Galway music scene and play our hearts out both for the audience and for each other," said Tightrope's Allen Feeney, organiser of the event. "We are looking forward to putting on a great show for the people of Galway while showing our support for such an important organisation." “We are delighted to be involved in this fantastic event for such a worthy cause," said Paul Grealish of The King's Head. "This is the second year we’ve hosted Galway Rocks for Hospice and I can’t wait to do it all over again. All credit to Allen Feeney and all of the amazing bands who are giving up their time to gig in support of Galway Hospice." The Kings Head will donate €1,500 to Galway Hospice in addition to the money raised from the event. The gig starts at 9pm. Admission is free but audience members are invited to make a donation of €5. All are welcome.